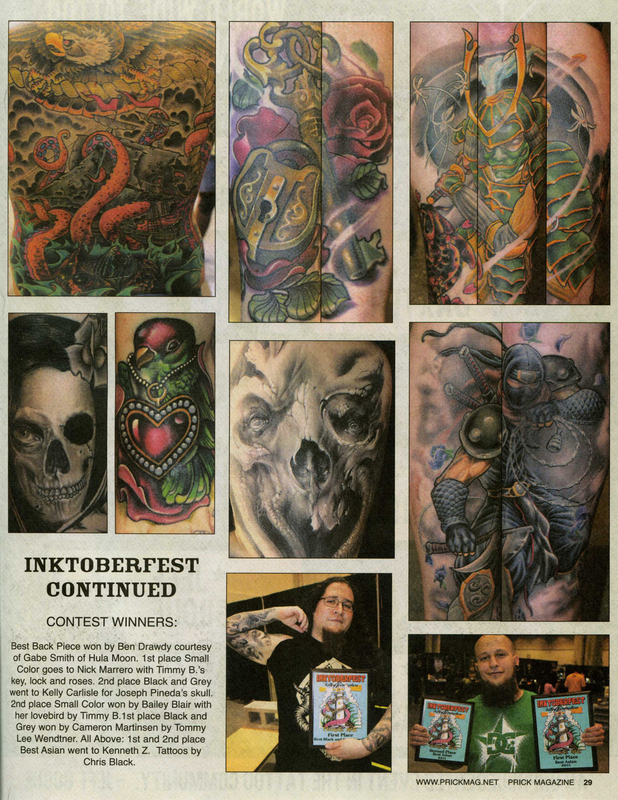 The latest issue of Prick Magazine has an article written about last years Inktoberfest which we attended in Biloxi, MS. This show was such a blast and looking forward to next years event! You can view the magazine in its entirety here. This entry was posted on February 10, 2012 at 12:52 am and is filed under News with tags Pinups, Prick Magazine, Tattoo. You can follow any responses to this entry through the RSS 2.0 feed. You can leave a response, or trackback from your own site. Kenny’s a big dog now!